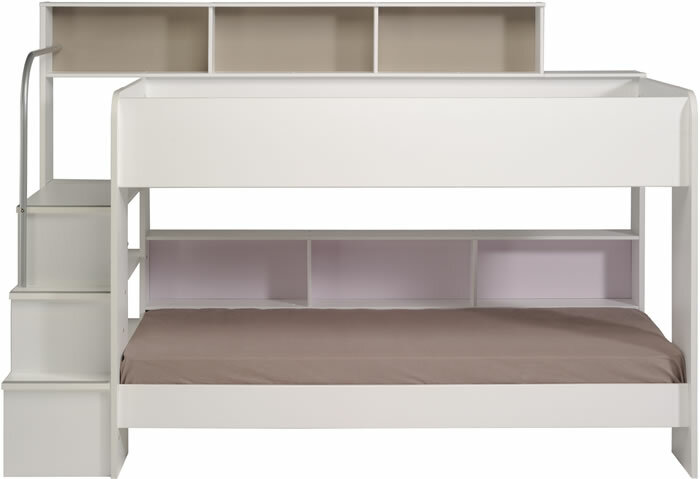 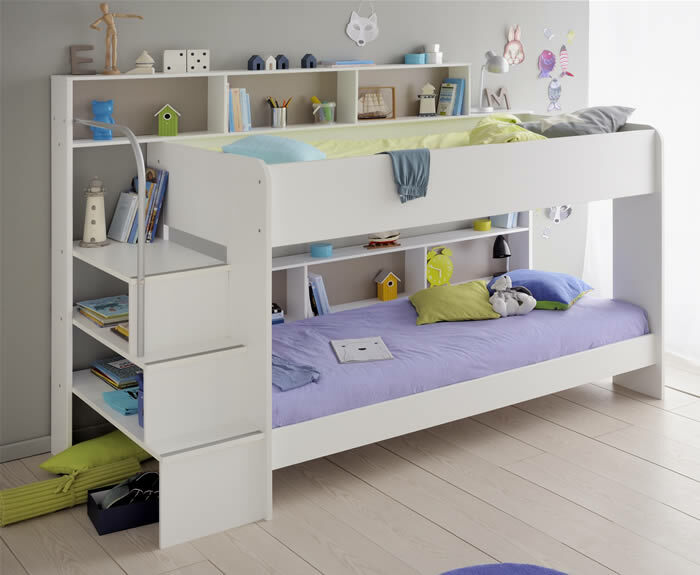 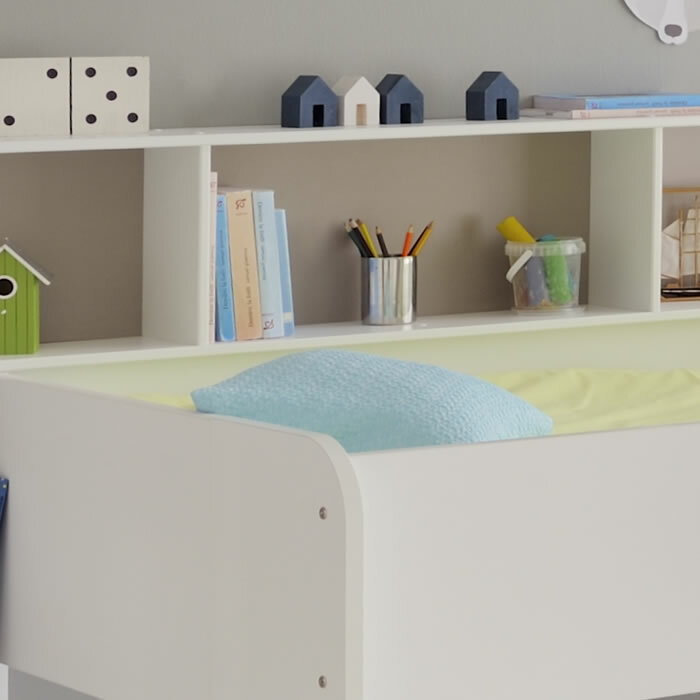 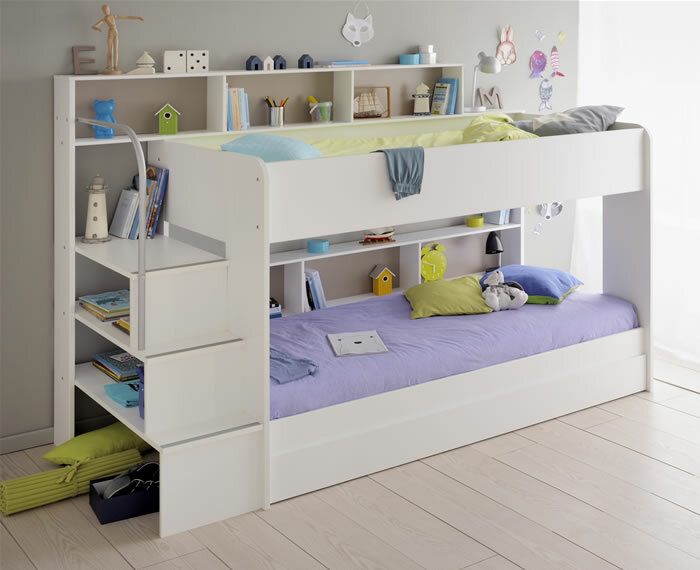 The Kids Avenue Bibop 2 bunk bed in a white finish by Parisot features a sturdy 3 step staircase, a metal handrail for safe and easy access to the top bunk and ample shelving storage for both sleeping areas. 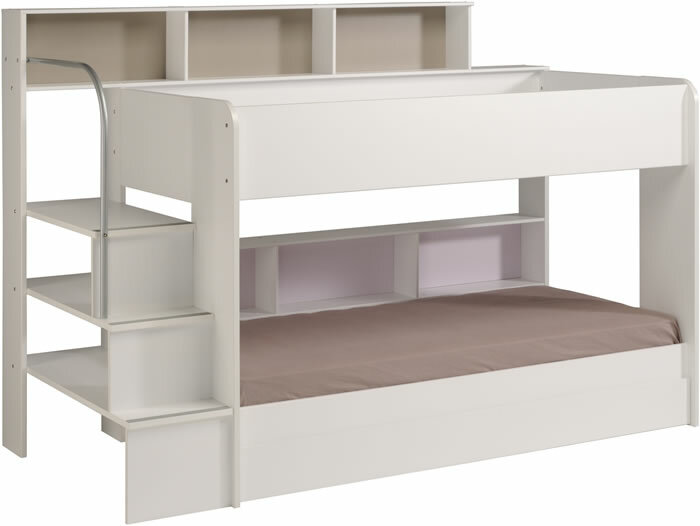 The top and bottom bunks each have 3 rectangular shelving spaces with reversible soft pink or cappuccino back panels with a long open shelf above. 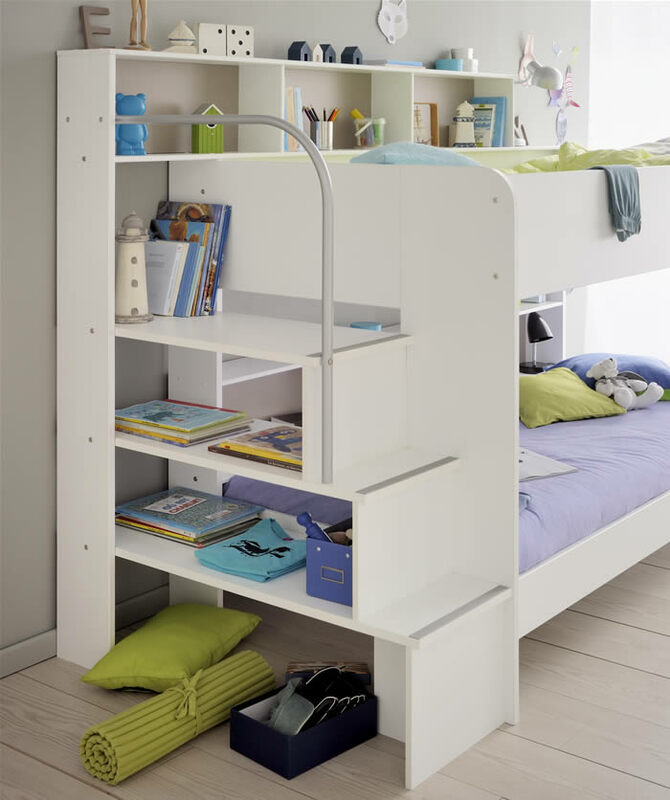 Under the staircase are 2 additional shelves with easy access from the bottom bunk or bed end with additional storage space below. 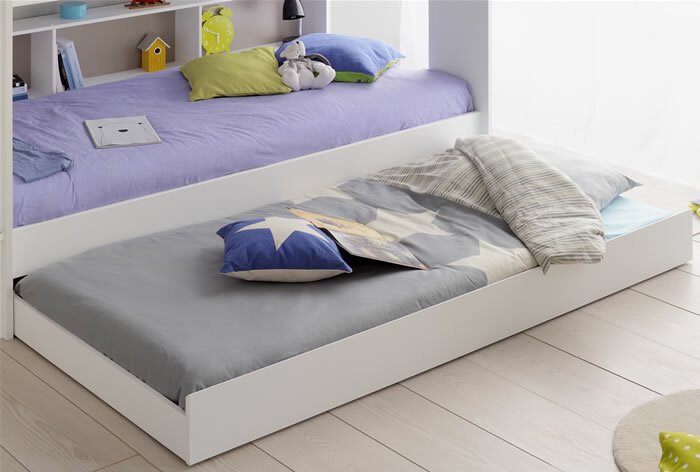 An optional under bed trundle drawer is available for the Bibop 2 bunk bed which can be used for extra bedroom storage or with a trundle mattress to sleep a third person. 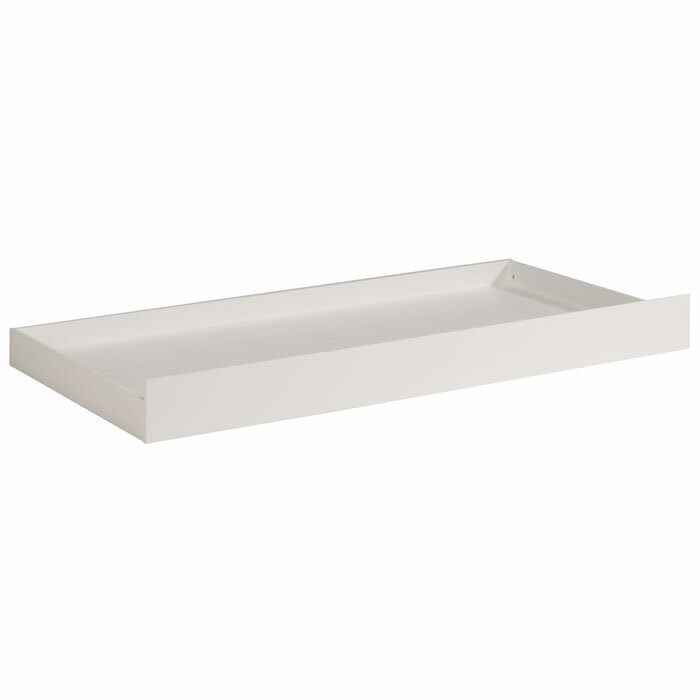 The trundle drawer has 8 wheels to provide support to the base and to make it nice and easy to extend and put away. 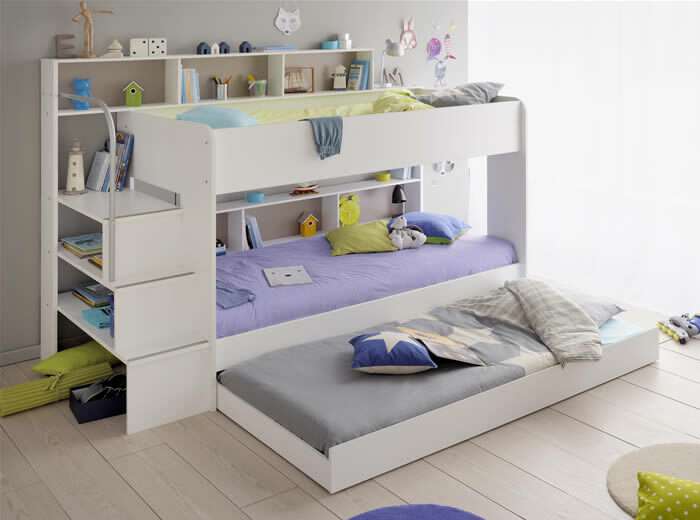 The Bibop 2 bunk bed was launched by Parisot this year as part of the Kids Avenue range and has replaced the very popular Bebop and Swan white bunk bed models.